1. 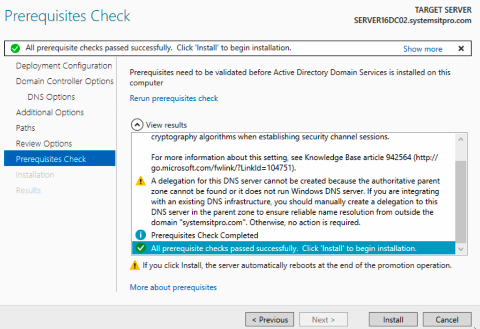 On the Server Manager Console notifications flag and select Promote this server to a domain controller. 2. 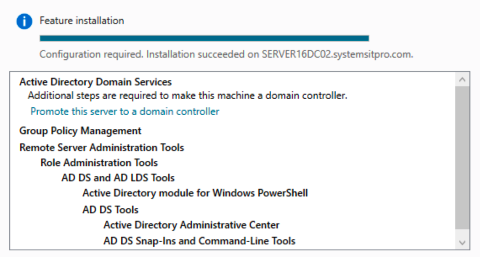 On the Deployment Configuration page, select Add domain controller to an existing domain then Next. 3. On the Domain Controller options page, keeps default and assign the password for the DSRM then Next. 4. On the DNS Options page, click Next. 5. On the Additional Options page, select the IFM options if required and replication then Next. 7. On the Review Options page, review and click Next to proceed to the Prerequisites check and then installation. Note: Please make sure you fix any warning or errors before installing. The Server will be restarted and then it will be ready to go. 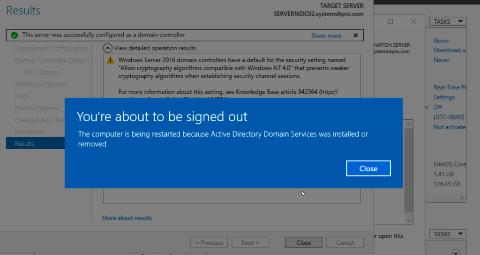 That's it now you have deployed a secondary Domain Controller.